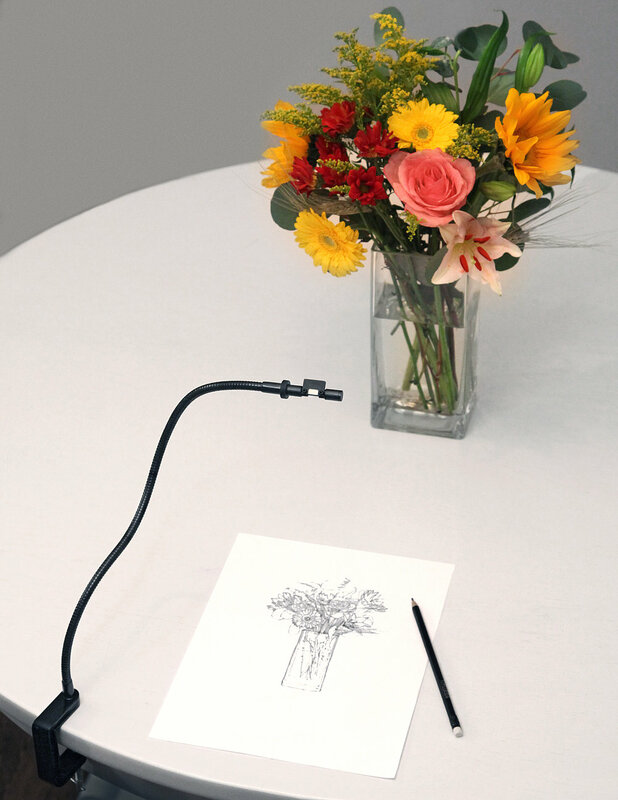 What happens when two art professors resurrect an obsolete drawing tool from the 19th century? The NeoLucida Project is about art and technology history, provocative ways to fund design projects, and helping people learn how to draw. The NeoLucida is a "prism on a stick." Clamp the NeoLucida to your table and locate the prism over your paper with your subject in front of you. ...and you see a ghost image of your subject on your page. You can also see your pencil, so you can trace what you see! The NeoLucida was crowdfunded by 11,406 backers on Kickstarter. This overwhelming response allowed us to design a far superior product with customized parts. There are over 25,000 NeoLucidas out in the world, spanning 90 countries. We use the tools to do workshops and help people discover drawing skills they thought were hard to attain.